The Horn Nova 1081 has room to use and store both your product and overlocker, fitted with our longer lifter and compact in design the Nova 1081 is a classic from Horn. This cabinet is beautifully finished from the front to the back, inside and out. It has an extra stable construction, the easy rolling castors are attached to a specially designed reinforced frame, the entire cabinet glides closed and locks for child safety when not in use. 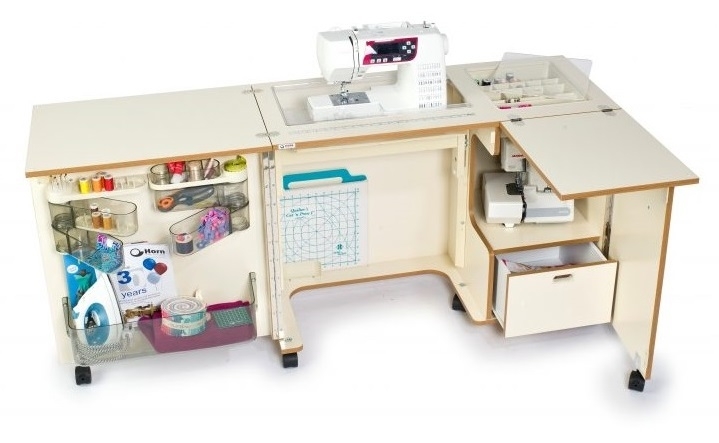 It's also exceptionally spacious with an extra deep drawer, bonus shelf, and a recessed table-top notions organiser add even more storage and the transparent bins make it easy to find your threads and accessories. Dimensions: Closed - Wide 100cm (39½"), Deep 44cm (17½"), High 76cm (29¾"). 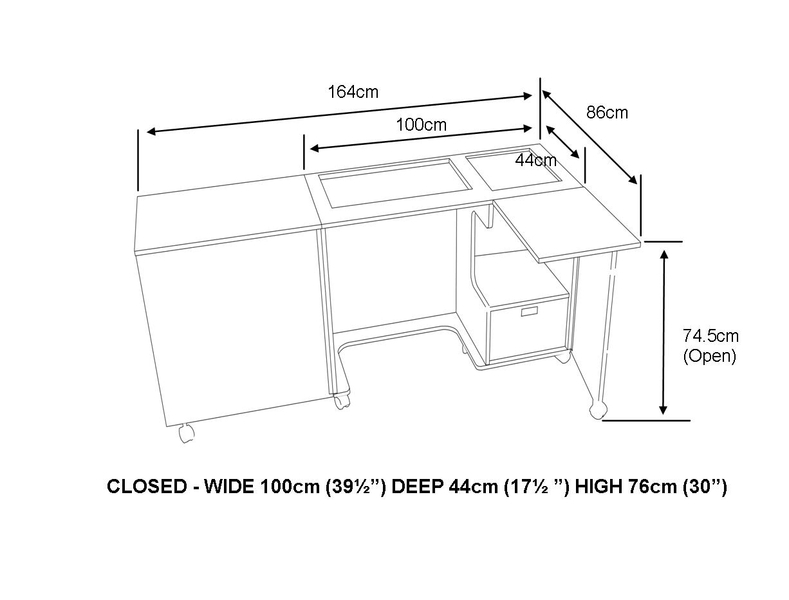 Please note: All Horn sewing tables and cabinets are all specially ordered, therefore delivery could take up to 28 working days. Available in a choice of Teak, Beech, Light Oak, Medium Oak or White colour. Answer 1 : The following cabinets to fit the Janome Memory Craft 15000, are the ones with the maxi lift. These cabinets include Superior, Eclipse, Outback, Quilters Delight, Calypso.